We're in the middle of a historic low temperature here in Chicago with windchills about to hit -55F, and since the whole family is caved in inside the house, I thought it's the perfect time to make a pot of jook and of course, making Youtiao will complete a satisfying Chinese breakfast! 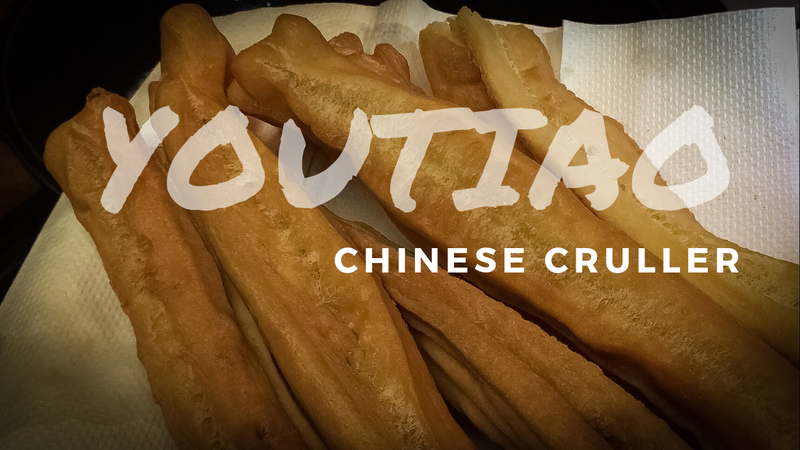 After a couple of hits and misses in making the Youtiao, here's the recipe that worked the best for me. I hope it will work for you as well! Mix flour, egg, salt, baking powder, milk, butter, and water in a dough mixer. Mix with a dough hook for at least 10 minutes. Shape it into a 6x4 inches flattened rectangle. Wrap in plastic, and refrigerate overnight. Take out dough from the refrigerator and let it sit for at least 2 hours before constructing your cruller. When the color turns into golden brown, then it’s done! ENJOY!